Picture hanging hardware is par for the course when you decide to do your own interior decorating, but if you aren’t experienced in interior decorating, you may have questions about picture hanging hardware. Here at Gulf Coast Installs, we have years of experience with professional art installation and are always available to help with your picture hanging needs. If, however, you decide that you’d like to tackle the job yourself, here are a few types of picture hanging hardware and when you should use them. Sawtooth picture hooks are a picture hanging hardware that is included in most basic picture hanging kits. This type of hook is usually paired with the traditional picture hanging hook. The sawtooth hook is secured to the back of your picture frame while the traditional hook is secured to the wall. Then all you need to do is grip the wall hook with the sawtooth hook on the back of the frame. This type of hook is usually used for hanging traditional photo frames and light to medium-weight pieces of artwork. Traditional picture hooks are what most people are familiar with when it comes to picture hanging. These small hooks are generally used with picture hanging wire for hanging larger or heavier art pieces. These hooks can be used alone with some picture frames, however, if the frame has a built-in notch for the picture hook to grasp. This is most commonly seen on hollow wooden frames or box signs. A gallery picture rail is a rail that allows you to extend vertical threads of pictures from it just as you might see in an art gallery. This type of hardware has a more industrial feel to it, so it’s not commonly used in the average home, but if you’re going for a more urban look to your decor or decorating an office space, it could work perfectly for you! Gallery picture rails are best used to hang multiple piece art series when you are going for a more professional rather than a homey look. Picture hanging wire is one of those things that very few people know how to use properly. 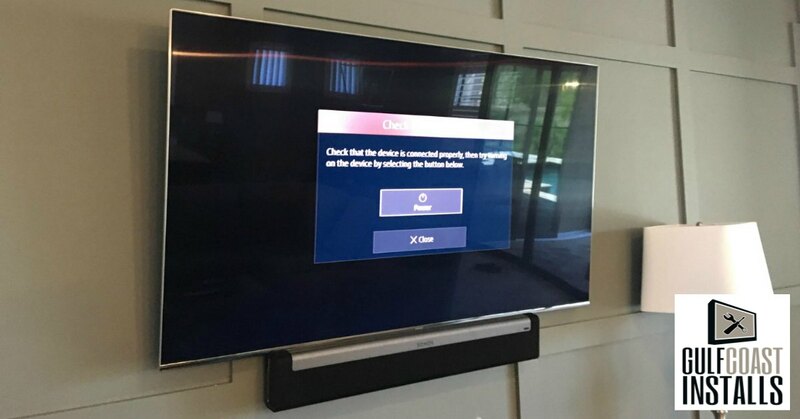 While it offers a sturdy solution to picture hanging, that solution is only sturdy when the installation is done properly! To hang a picture using wire, you will need to have D-rings installed on the back of your artwork and install picture hooks on the wall where you want to hang your artwork. This requires plenty of measuring and marking to ensure that your picture is hung straight and that it is properly anchored to the wall! Picture hanging wire is best used for wooden picture frames and larger or heavier pieces of work that require a steady mount. A popular solution to picture hanging these days are the self-adhesive tabs that are designed to make picture hanging simple and requiring no holes in the walls. There are various tabs available with different weight limits for hanging. 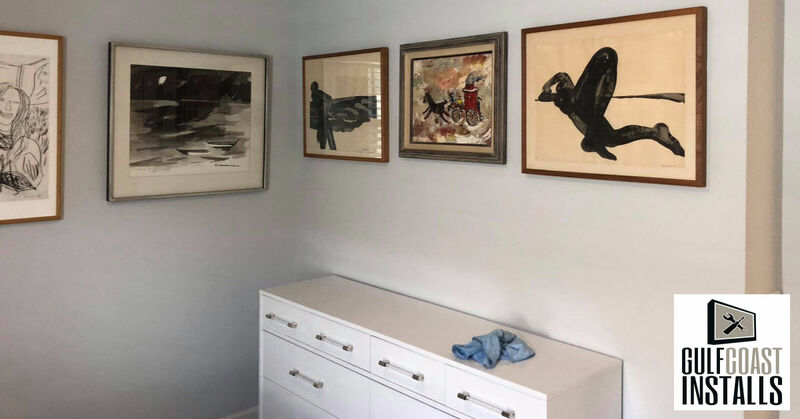 While these may seem like the perfect solution, the truth is that very often they fail and your self-hung artwork that was so perfectly placed comes crashing off the wall. These sticky tabs may be a good solution for lightweight, cheap box sign decor, but if you want to keep your artwork off the floor, we recommend another solution! These should never be used with expensive artwork pieces! Need a Picture Hanging Professional? If you would rather leave the interior decorating to the professionals, just give us a call here at Gulf Coast Installs at (239)-682-1077! We have a team of professional installers who can take care of all of your picture hanging needs and they have all of the tools and hardware needed for the job on hand!